Started as a one-man shop, Gardner Automotive Communications (GAC) has been in the automotive industry for 15 years. GAC is selected as the Tier 1 supplier to lead all the creative development of the 2016 SEMA Show. A trade-only auto show that is not open to the general public. Honouring the past while building the present, Toyota reveals the extremes of their premier models over the years. 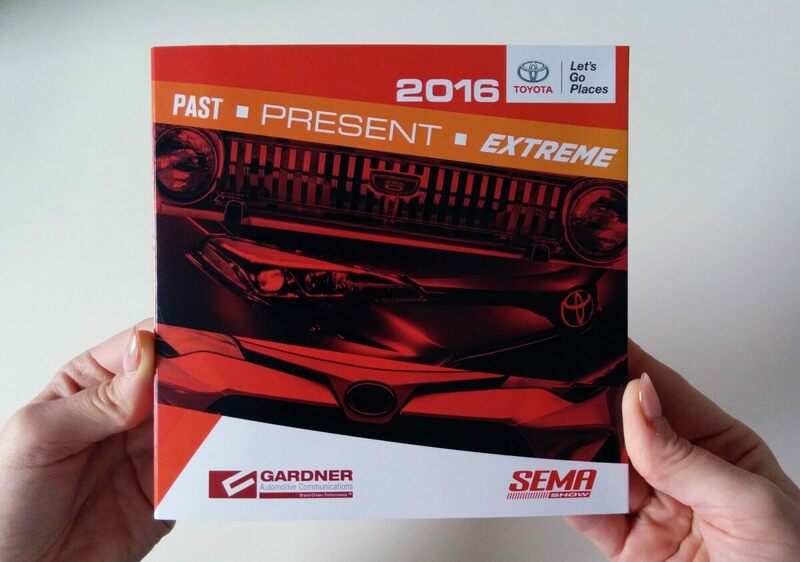 Presenting Toyota in the 2016 SEMA Show using bigDAWGS’ Video Greeting Cards, GAC — respect is worth more than adoration.